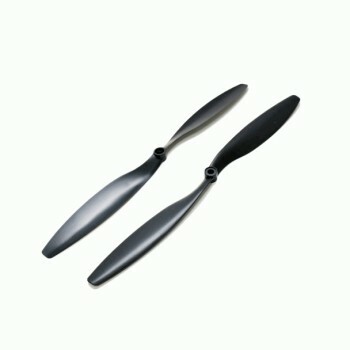 This is a pair of EPP 10x4.5" propellers (EPP1045). These propellers are perfect for a quadcopter or other multi-motor aircraft. The propellers come with a 7 different sizes shaft adapters to accommodate a variety motor shafts. The diameter of shaft adapters are: 3mm, 3.2mm, 4mm, 5mm, 6mm, 6.35mm, 7.95mm. Order two of these pairs for your quadcopter. The pair includes one pusher and one tractor propeller. Note: Pusher propellers rotate clockwise and Tractor propellers rotate counterclockwise.